Caption: A picture of the decapitated Silent Soldier. 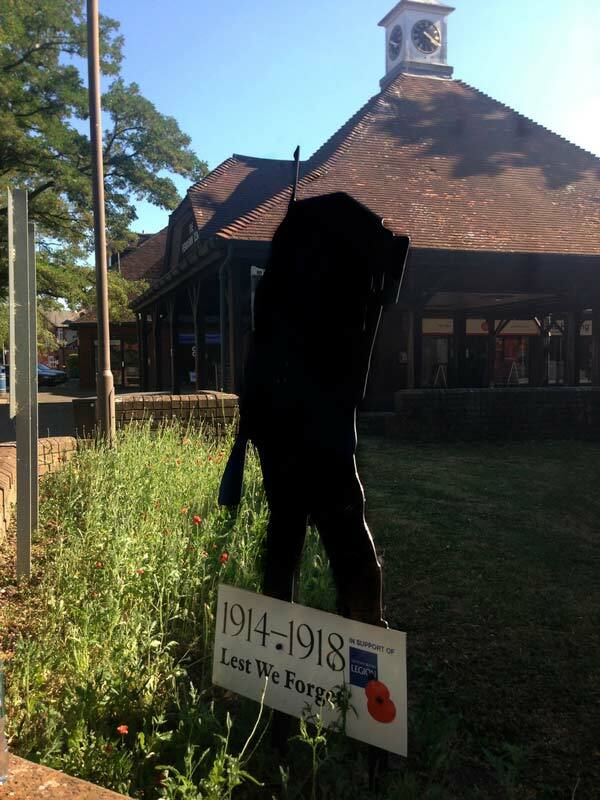 There has been another case of vandalism in Ferndown with a second Silent Soldier decapitated at the entrance to Pennys Walk and needing to be replaced. Situated on the entrance to Pennys Walk, the figure was decapitated. It is the second to be vandalised since 10 were installed around Ferndown in May by the town council. The Pennys Walk installation was quickly replaced with the Silent Soldier that had been standing at Longham near the Angel Inn. The silhouettes form part of the RBL campaign to commemorate the centenary of the end of WW1 and are symbolic of the 1.1 million British and Empire servicemen and women who died during the war. 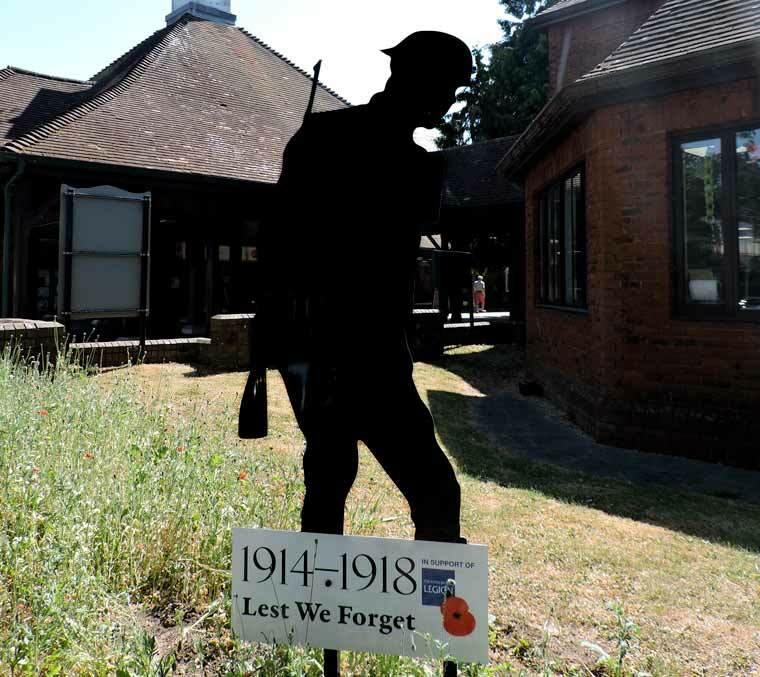 Grant Parrott, chairman of the Ferndown Royal British Legion said, “Firstly, can I thank the town council for acting so quickly to replace the figure which in itself gives an answer to whoever did this. The first act of vandalism occurred to an installation at the junction of Dudsbury Avenue and New Road. Grant Parrott added,“These silhouette figures are not there to glorify past wars, they are there to remind us of the cost in human lives of going to war, of the sacrifice of a generation lost and a legacy that it must never be allowed to happen again.” He suggested that if anyone feels so strongly that it is wrong to learn that lesson, they should come forward; use the freedom of speech and the freedom of the press to give their reasons.